2. 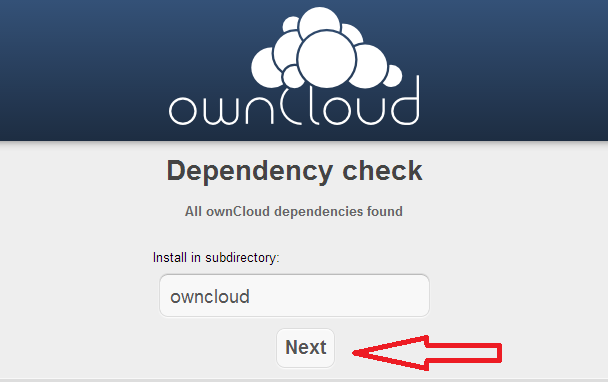 Don't change Install in subdirectory path, leave it as it's owncloud and click on next. 3. Just click on next. 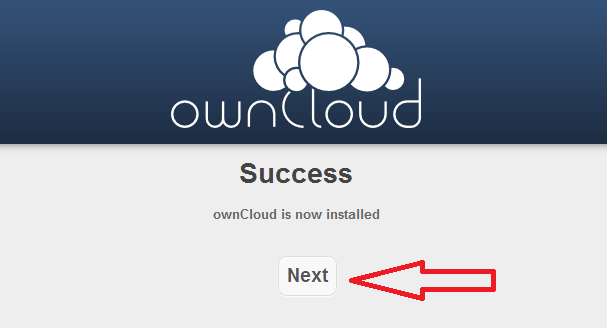 Now you have 2 options to configure your owncloud installation. Both of them are described below. I. With default configuration, i.e. 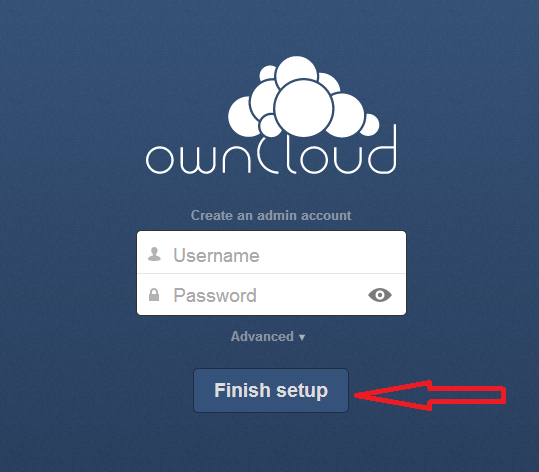 if you fill in just the username and pass and click on Finish setup, owncloud will be installed in your www directory and there all your files will be stored. 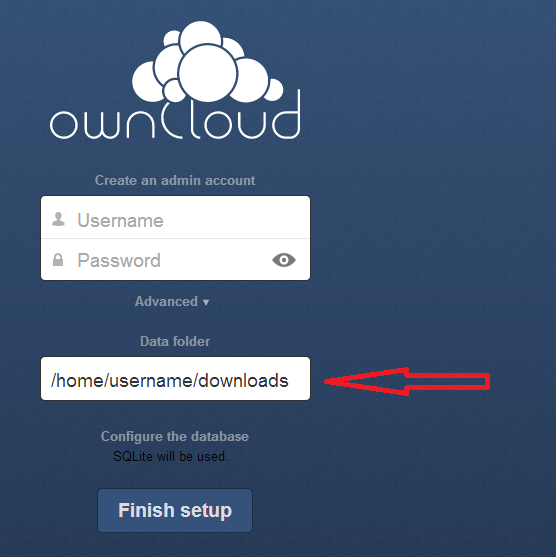 This is what we need to put into Data folder and then click on Finish.